Display Your Content In A Beautiful, Captivating Way! Build Websites and Designs that Reduce Bounce Rates. If you want to stand out from millions of websites and apps, display your content in an innovative way that will hold your audience’s attention. Utilize the full power of visual elements. Introducing the versatile bundle of 34 jQuery Image Sliders with some of the most fascinating animations. You get options to add an image slider, slideshow, HTML content slider, gallery, banner rotator, video gallery, carousel or even a presentation to your page. These sliders look great on every device, be it desktop computers, tablets or smartphones. 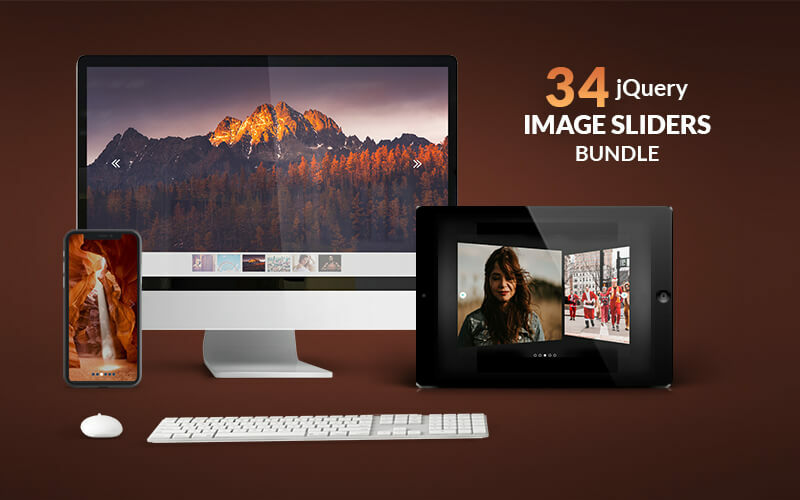 Grab This Jquery Image Slider Bundle For Just $700 $29 Today! InkyDeals is an authorized reseller of DesignTNT | Sold in Bundles, Mobile UI Bundle.